This page is a component selection guide to aid with building a 6.5 Creedmoor Long Range Sniper Rifle similar to the one pictured on this page. Below is an explanation of the individual components I chose to build my rifle. Enjoy! Why a 6.5 Creedmoor Long Range Sniper Rifle? I am not one to jump on every next best caliber to come along. For my precision shooting purposes I’m well served and dedicated to .308 Winchester and 300 Winchester Magnum long range “sniper rifles”. This dedication to the aforementioned rifle calibers admittedly most of the time causes me not pay attention to the latest and greatest wonder calibers (sarcasm). That was until recently. Enter 6.5 Creedmoor. Note:many of the parts selected here have an 8-12 wait from the manufacturers. Stock photo’s will be used until I have physical parts on hand. The 6.5 Creedmoor Cartridge has actually been around since 2007 so technically it’s neither a new caliber or a fad at this point. However is is new compared to the 1952 .308 Winchester. It’s also considered new in bullet design. 6.5mm (and 6mm) rifle bullets were designed with competition shooters in mind. They have been cleaning up competitions since. The 6.5mm Creedmoor, also called the 6.5 Creedmoor or 6.5 CM for short, is a centerfire rifle cartridge introduced by Hornady in 2007 as a modification of the .30 TC which was based on the .300 Savage. It was designed specifically for rifle target shooting, although it is also achieving success in game hunting. Bullet for bullet, the 6.5mm Creedmoor achieves a slower muzzle velocity than longer cartridges such as the 6.5-284 Norma or magnum cartridges such as the 6.5mm Remington Magnum. However, due to its 2.825 inches (71.8 mm) overall length, it is capable of being chambered in short-action bolt action rifles and 308 AR, AR-10 semi-automatic rifles. 6.5 mm (.264″) bullets, in general, are known for their relatively high sectional density and ballistic coefficients, and have seen success in rifle competition. 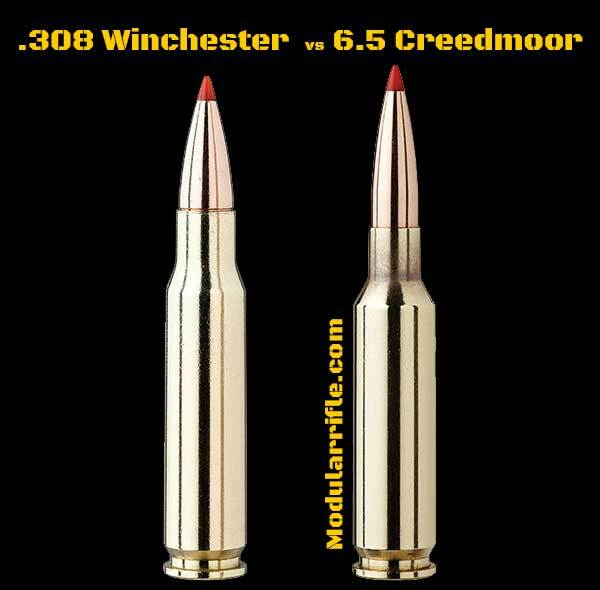 For some loads the 6.5mm Creedmoor is capable of duplicating the muzzle velocity or trajectory of the .300 Winchester Magnum while generating significantly lower recoil, based on lighter projectile weight. As this cartridge is designed for a bolt face diameter of .473 inches (roughly 12 mm), conversion of a short action rifle to another caliber (such as the .22-250 Remington, .243 Winchester or .300 Savage) with similar bolt face diameter generally requires little more than a simple barrel change. This is a medium power cartridge often compared to the .260 Remington and 6.5×47mm Lapua but is not as accurate as the Lapua case. Three hundred yard energy using 129 grain Hornady SST bullets is listed by an independent reviewer as 1641 ft. lbs. For the 140 grain bullet at 2700 feet per second initial velocity another reviewer reports an MPBR for a six inch high target of 265 yards and reports a manufacturer claim of “almost 1600 ft. lbs.” of retained energy at 300 yards using a 24-inch barrel. SAAMI test data confirms 6.5 mm Creedmoor (fifteen feet from muzzle) velocity of 2,940 fps for the 129 grain bullet and 2,690 for the 140 grain bullet (which compares to .300 Winchester magnum data of 2,930 fps for a 200 grain bullet and 2,665 fps for a 210 grain bullet). Long-range shooter Ray “RayDog” Sanchez summarized the bolt-action Tubb 2000 rifle in 6.5mm Creedmoor as “boringly accurate” at 1000 yards (914.4 meters). He asserted the rifle and ammunition combination he used was able to maintain sub-MOA groups at 1000 yards (914.4 meters). Lapua brass for 6.5mm Creedmoor is now available and may improve accuracy for hand loaders, due to features such as a small primer pocket intended for industry standard small rifle primers (as opposed to the industry-standard large rifle primer pocket found in other manufacturer’s creedmoor brass). Small rifle primers are also found in proven cartridges such as the 6PPC, 6BR, 6.5×47 and 308 PALMA. A small primer pocket is said to produce smaller extreme spread in muzzle velocity. Initially the Mausingfield Bolt Action Receiver was not an easy choice for this 6.5 Creedmoor Long Range Sniper Rifle build. My original plan was to use an authentic Remington 700 Receiver. That was a noble idea except I do not have a Remington 700 rifle in stock that I could apply to this project and Remington 700 Receivers are not readily available. To spend $800 on a complete rifle just to acquire a Remington 700 Receiver is not ideal. This got me thinking about the total cost of a completed barreled action. Keep reading below. American Rifle Company Mausingfield, Boasting the multi-caliber support of toroidal locking lugs that never need lapping, an interlocking scope mount, a Mauser extractor and a Springfield ejector, American Rifle Company’s Mausingfield action is a unique fusion of modern design and battle-proven features from bolt actions past. The Mausingfield is compatible with aftermarket components designed for use with the Remington Model 700, such as triggers, trigger guards, and magazines, stocks, and chassis. And as if that’s not enough, the Mausingfield is also compatible with Savage barrels and lock nuts, enabling you to install off-the-shelf turnkey barrels without the need for expensive equipment or custom machining. The Mausingfield ushers in the era of the match-accurate build-it-yourself rifle. State of the art manufacturing and high grade materials are used to make the Mausingfield right here in the USA. The Mausingfield is not a Remington clone. It’s a bolt action in a class by itself, derived from a comprehensive understanding of what a bolt action must do, and decades of both engineering and manufacturing experience. At American Rifle Company, we only do best. We do the Mausingfield. Mausingfield actions with serial numbers of M5A3-00005 through M5A3-00024 use a 1.125” x 20 UN 2B thread, making them compatible with commercially available Savage large shank barrels and lock-nuts. Mausingfield actions with serial numbers of M5A4-00025 and higher use a 1-1/16” x 20 UN 2B barrel thread, making them compatible with commercially available Savage small shank barrels and lock-nuts. Both types of barrels can be easily installed without the need for custom machining. Please note that the 1-1/16” x 16 UN thread of the M700 is not the same as that of either the Mausingfield or the Savage. Therefore, Remington M700 barrels are not compatible with the Mausingfield. The Mausingfield can also be fitted with threaded and shouldered barrels that do not require a locknut. Such barrels should have a minimum shank diameter of 1.20 inches (30.5 mm), unless they are to be installed on a Mausingfield action having a serial number between M5A3-00005 and M5A3-00024. For actions with any of those numbers, the barrels should have a minimum shank diameter of 1.25 inches (31.7 mm). If you wish to customize your rifle, compatibility provides flexibility by allowing you to choose from many commercially available components. The Mausingfield receiver is compatible with triggers, trigger guards, and magazines designed for use with the Remington Model 700 (hereafter M700). Below the stock line, the Mausingfield receiver is similar in shape to the M700, making it compatible with many of the chassis systems and stocks designed for the M700. However, the ejection port of the Mausingfield is slightly different than that of the M700. The Mausingfield also has a bolt stop that is centered on the bore axis and protrudes from the side of the receiver. Thus, when fitting a Mausingfield barreled action to a stock designed for the M700, slight alterations may have to be made to the stock near the ejection port and the bolt stop. The Mausingfield action is not compatible with barrels designed for use in the M700. The Mausingfield action is compatible with some barrels and locknuts designed for Savage bolt-action rifles. See the section titled “Barrels for Your Mausingfield” for more information regarding the use of Savage barrels. The parts comprising the Mausingfield action are not compatible with any corresponding parts used for any other action. These actions include those manufactured by Remington, Savage, and Winchester, or by any company that manufactured Mauser M98 actions, past or present. The Mausingfield action uses a proprietary accessory rail for scope mounting that interlocks with the receiver. A STANAG 4694 (MIL-STD-1913 aka Picatinny) accessory rail is included with the purchase of an action. The unique Mausingfield scope-mounting interface makes the action incompatible with chassis systems designed to directly engage the top of the M700 receiver or that of any other rifle. The Mausingfield bolt uses an interchangeable bolt head that is perfectly suited for multi-caliber rifles that use Mauser extractors. Additionally, the Mausingfield receiver and bolt head interact across cleverly shaped bearing surfaces that eliminate the need for lapping in order to establish proper contact between the two when the bolt is closed. Bolt actions that do not utilize bolts fitted with articulating heads must be lapped to ensure that the bearing surfaces of the locking lugs properly contact the corresponding bearing surfaces within the receiver. As is typically the case with such actions, when the bolt is closed an interaction between the sear and the firing pin forces the aft end of the bolt upwards, thus misaligning it with respect to the receiver. Because the bearing surfaces of the receiver and the locking lugs are flat, any misalignment between the receiver and bolt must necessarily separate these surfaces. The lugs ultimately come to bear against the receiver when the rifle is fired, but not without excessive movement of the bolt. This movement is detrimental to accuracy, and in order to prevent it, gunsmiths lap the lugs against the receiver to ensure that the two are contacting one another when the bolt is closed. Lapping is done by applying an abrasive substance having the consistency of grease to the bearing surfaces and then cycling the bolt repeatedly. With every cycle the abrasive agent wears the bearing surfaces, thereby increasing the area across which they make contact with one another. When the bearing surfaces of the lugs completely contact the corresponding bearing surfaces of the receiver, the lapping process is complete. Laboriously lapping lugs is a reasonable way to ensure that the bolt bears properly against the receiver; however, it does establish the two as a matched pair. As such, a lapped receiver is rather impractical for use in an accurate multi-caliber rifle. Reconfiguring the rifle for use with a cartridge having a different head diameter requires introducing a second bolt. In order for both bolts to properly bear against the receiver, the lugs of each must be iteratively lapped against it, slightly altering the receiver with each iteration. This process must be repeated until the bearing surfaces of the receiver and of both bolts converge upon a common solution, enabling the lugs of each bolt to properly bear against the receiver. This is considerably more laborious than lapping a single bolt against a receiver. Introducing a third bolt would add yet another and more significant degree of complication. As a result, actions that require lapping do not support bolt interchangeability without considerable expense, and are therefore not ideally suited for use in accurate multi-caliber rifles. The use of bolts fitted with articulating heads do not require lapping, and actions like the Savage 110 that utilize such bolts are well suited for multi-caliber rifles. However, an articulating bolt head will not function properly if used in conjunction with a Mauser extractor. The articulating head must be free to seat itself against the receiver. A Mauser extractor, being a flat spring, would impinge upon the articulating head, restricting its freedom of movement and biasing it towards a particular direction. Not being able to use a Mauser extractor with bolts having articulating heads is a significant shortcoming of such a design. The Mausingfield receiver and bolt are designed to properly engage one another when the bolt is closed, regardless of the alignment between the two. The design obviates the need for lapping, as well as the need for an articulating bolt head. The Mausingfield uses a main bolt body connected to a non-articulating bolt head by a pin. We chose the two-piece bolt design to facilitate the assembly of the bolt with the Mauser type extractor and its retaining collar, as well as to support the use of interchangeable bolt heads and extractors for multi-caliber rifles. Since lapping is unnecessary, bolt heads are never matched to the receiver. Therefore, reconfiguring the bolt is a simple matter of disassembling and then reassembling with the appropriate bolt head and extractor. The Mausingfield bolt head has two diametrically opposed locking lugs. The bearing surfaces of the locking lugs are shaped as portions of a torus, and bear against surfaces within the receiver that are shaped as portions of a sphere. Regardless of the alignment between the bolt and receiver, these bearing surfaces maintain contact along arcs that approximately bisect the bearing surfaces of the lugs. When the rifle is fired, the bearing surfaces are elastically flattened against one another, enabling proper load sharing between the lugs, thus increasing the load-bearing capacity of the breech. The Mausingfield bolt head does not articulate with respect to the bolt body, and when the two are assembled, they function as a unitized part. Thus, the bolt head and the receiver are able to properly engage when the Mauser extractor impinges upon the unitized bolt assembly. Such engagement would not be possible if the bolt head were able to articulate. In fact, it is the entire Mausingfield bolt assembly that can articulate within the receiver to ensure proper engagement between the two. Excessive movement of the bolt within the receiver is prevented by an enlarged diameter at the aft end of the bolt that closely fits the receiver bore only when the bolt is closed. Opening the bolt disengages this close fit. The bolt can then be cycled while having 0.012 inches (0.30mm) of diametral clearance between it and the receiver. The ample clearance makes the Mausingfield extremely tolerant of dirt and other contaminants that will likely be encountered in adverse field conditions. Additionally, it allows for the use of paint finishes such as Cerakote™. American Rifle Company developed an advanced scope mounting system for the Mausingfield that provides the security of an integrally machined rail and the interchangeability of a removable rail. When a typical rifle is fired, it undergoes high rates of acceleration, on the order of 200 to 300 g’s, thereby imparting high forces to the scope mounting system. These forces can cause slippage between the receiver and the mounting system, ultimately resulting in sight misalignment and reduced accuracy. This is especially true if only friction is relied upon to maintain the relationship between the scope mounting system and the receiver, as is predominantly the case with the Remington M700 and many of its clones. A receiver having an integrally machined rail eliminates the possibility of slippage. However, in order to better utilize the available range of elevation adjustment within a scope, a rail must be inclined with respect to the rifle’s bore. But different scopes require different amounts of inclination, making integrally machined rails a bit encumbering when you are selecting a scope. Ideally, the connection between the rifle and the scope should be rock solid, while also affording the shooter the ability to replace one scope for another which may be better suited for a different application. To fulfill these requirements, the Mausingfield receiver has an integral key with tapered walls that engages a similarly tapered slot within the rail. Five commercially available 8-36 x ¼” long socket head cap screws are used to draw the receiver and the rail together. The resulting interlocking connection makes slippage between the two impossible, thus providing both security and interchangeability. When you purchase a Mausingfield, you must specify the inclination angle for the rail supplied with it. To choose the rail angle that will make available most of the elevation adjustment within the scope, you need to determine how much elevation adjustment the scope has, divide that number by two, and then subtract either 15 MOA or 4.4 milliradians. 15 MOA (or 4.4 mils) is subtracted because approximately 6 MOA (1.7 mils) must be allocated to obtaining a 100 yard (or 100 m) zero, assuming the scope is mounted approximately 2” (50mm) above the bore. In addition, approximately 9 MOA (2.6 mils) must be allocated for build tolerances of the rifle, the scope mount, and the scope. This is an approximation, but it is more than adequate for choosing the rail angle. In general, 20 MOA (5.8 mils) is appropriate for scopes having 30mm tube diameters, and 30 MOA (8.7 mils) is appropriate for scopes having 34mm tubes. A Mauser extractor is utilized within the Mausingfield action because it is quite simply the most reliable and robust extraction system yet invented for use in bolt-action rifles. There are many extractor designs that are adequate under ideal circumstances. However, extractors must be designed to function even in sub-optimal conditions. Fortunately, Paul Mauser did exactly that when he designed the extractor for use in his legendary rifle Model 1898 (hereafter M98) after inventing and patenting most of the other extractors in use today. The extractor Mauser ultimately used in his M98 is the only one fit for duty within a bolt-action rifle intended for use in adverse conditions. Its unique ability to control a cartridge as it is stripped from the magazine and to eject it even if the bolt is short-stroked is a well-known benefit. This ability reduces the likelihood of jams resulting from accidentally feeding one cartridge into another that is already chambered. But there are significant, albeit lesser-known, benefits of Mauser’s extraction system. The M98 extractor does not rotate with respect to the case during the extraction process, making it more effective than extractors that do. That’s because any rotation of the extractor about the case not only encourages the extractor to disengage the case, but also reduces the efficiency of the extraction process. During the Mauser extraction process, relative motion occurs only between the hardened steel parts of the action that easily slide against one another. There is no tendency for the M98 extractor to dig into the much softer case head because it does not move with respect to the case head, as do all of the other extractors used in manually-loaded rifles having rotating bolts. Additionally, the M98 extractor utilizes an angled tongue that engages a similarly angled groove within the bolt in order to prevent outwardly radial movement of the extractor while undergoing high axial loads, further ensuring that the case is not prematurely disengaged. As the force pulling the extractor rearwards increases, the inwardly-directed radial force also increases, keeping the extractor engaged with the case head. Only Mauser’s extraction system boasts such clever and robust functionality. The M98 extractor reduces the likelihood of the case head failing during difficult case extraction by engaging more of it than does any other type of extractor. The M98 extractor is larger and more robust than all others and is therefore better able to survive case head separation and over-pressure events. Such events often destroy the delicate extraction systems comprising small springs, pins, and plungers used in other actions. The M98 extractor is passive. It does not require additional springs because it is itself a spring. Extractors relying upon small springs to either pivot, or worse yet, slide into engagement with the case head extraction groove, must be kept clean to function properly whereas the M98 extractor is essentially insensitive to contaminants. No other bolt-action extraction system is as time-tested or as battle-proven as that of the Mauser M98. While no extraction system is completely reliable, the M98 system is certainly far more reliable than any other, especially when used in adverse conditions. Hence, it has been adopted for use within the Mausingfield. In both the Mauser M98 and the Mausingfield, the extractor is attached to the bolt by an extractor collar. The Mausingfield uses an extractor collar that is more robust (though functionally similar) than the split flexible collar used in the M98. With every assembly cycle, the M98 extractor collar undergoes enough deflection to be permanently deformed. After a few cycles, the collar has been deformed enough to impinge against the inner walls of the receiver when reintroduced to the action. This impingement manifests itself as an undesirable drag force that the shooter will feel when manipulating the bolt. In contrast to the M98 collar, the Mausingfield collar is an inflexible solid steel ring with a protruding T-shaped lug that engages the extractor to secure it to the bolt. The extractor is trapped between a bolt head and a bolt body that are pinned to one another. Deforming it is not necessary for assembly, so its shape never changes, and it therefore always functions properly and without drag. Assembling the Mausingfield extractor, collar, bolt, and bolt head is much easier to do than assembling those parts on the M98. Having to deform the flexible collar makes assembling the M98 difficult. Because Mausingfield parts don’t have to be deformed for assembly, they can easily be fitted together. The Mausingfield uses an ejector that is very similar to that used in the Model 1903 Springfield—a compact, hardened-steel ejector freely pivoting on a high-strength steel pin. It is located at the aft end of the receiver, well away from the breech where the blast resulting from an over-pressure event or a case head failure would be most intense. The momentum of the rearward-moving bolt forces the ejector to pivot into engagement with the case head through a slot in the bolt face. The Springfield ejector also enables the shooter to control the intensity of the ejection process. The Springfield ejection system is far more robust and reliable than those utilizing a small, cylindrical plunger retained by a tiny pin and forced through a tight-fitting hole by a small spring. A spring-plunger ejector is located within the forward end of the bolt, which is a poor location for such a delicate assembly because it is essentially at “ground-zero” during an over-pressure event or a case head failure. Blasts can easily drive the plunger backwards with enough force to deform or shear its tiny retaining pin, leaving it permanently retracted within the bolt face. Moreover, a necessarily small spring behind the plunger is often highly stressed and may relax over time. As this happens, its effectiveness diminishes. Another drawback to spring-plunger ejectors is that they are used within recessed bolt faces that easily trap contaminants introduced by case head failures and adverse field conditions. Additionally, as the case head enters and exits the recessed bolt face, the forced impingement of the ejector against it sometimes removes tiny flakes of brass, which accumulate within the recess. Any of these contaminants can render the ejector ineffective by hindering its motion. To be fair, the spring-plunger ejectors do work most of the time, especially with properly functioning ammunition. They can be cleaned and lubricated regularly to keep them working, and springs can be replaced. But the Springfield ejector is essentially impervious to contaminants and does not require any maintenance. Nor does it rely upon a small spring to drive it. Its reliability is derived from the elegant simplicity of its design. The Springfield ejection system is of a type sometimes referred to as an “inertial system.” Such a system enables the shooter to control how far the cases are thrown. The shooter can protect the necks of the spent cases by slowly retracting the bolt, gently ejecting them so that they fall next to the rifle. Or the shooter may choose not to fully retract the bolt so that the spent cases can be manually removed through the ejection port. If the shooter is not concerned with collecting the brass, the spent cases can be ejected well clear of the rifle by rapidly retracting the bolt. These options are not offered by actions that utilize spring-plunger ejection systems. Moreover, spring-plunger ejection systems can deform case necks because the ejection process begins immediately when the bolt is withdrawn, causing the case neck to strike the inner wall of the receiver. The Springfield ejection system is used in the Mausingfield because it is the best yet devised for use in bolt-action rifles. The Mausingfield receiver has an integral recoil lug. Other manufacturers of bolt actions advertise a strength advantage associated with such a lug, but American Rifle Company regards such claims as misleading. In truth, the loads imparted to the recoil lug are modest for any appropriately sized lug made from steel, integral or not. The Mausingfield receiver has an integral lug, not for added strength, but simply because it makes barreling the receiver easier. If the lug is an integral part of the receiver, there is no requirement to pin it in place, or to otherwise maintain its orientation with respect to the receiver. In contrast to its competitors, the Mausingfield offers other real and substantive advantages which do not need to be misrepresented or overstated. The Mausingfield simply stands on its own merits. American Rifle Company goes to great lengths to design manufacturing processes that yield predictable results. To this end, parts are designed concurrently with the processes that will produce them. This extremely proactive approach to quality control, along with an innovative substantive design, makes it possible for American Rifle Company to guarantee the performance and the workmanship of the Mausingfield. The steel from which a bolt action is made must be both strong and tough. Strength and hardness are nearly synonymous, and toughness is the ability of the steel to absorb energy without cracking. Steels are heat-treated to establish various levels of strength, hardness, and toughness. However, hardness and toughness are generally competing qualities. Hardness usually comes at the price of toughness and toughness at the price of hardness. With this in mind, we chose 4340 alloy steel for the Mausingfield. 4340 is a high strength steel used throughout many industries because of its somewhat unusual capability of staying relatively tough at hardness levels up to 53 Rockwell C. At that level of hardness, 4340 and 300M (a very similar material also used within the Mausingfield) are among the strongest and toughest materials available. Additionally, at 53 Rockwell C, the possibility of galling between moving parts is all but eliminated. ead this section! You might actually find it interesting and entertaining. American Rifle Company catastrophically tests firearms built on Mausingfield actions to ensure that the resulting failures will not seriously injure or kill either the user of the firearm or bystanders. It is not safe to use any firearm in any manner other than that prescribed and intended by the manufacturer. The tests described below were performed under controlled conditions by experienced professionals. Do not attempt to replicate these tests yourself. We conducted tests to observe and document the manner in which gas and particles would escape from a Mausingfield action in the event of a complete case head separation. A Mausingfield action was fitted with a barrel having a special chamber that did not support the portion of the cartridge case that extends 0.22 inches (5.6mm) forward of the extraction groove. To further ensure that the case head would separate from the body, we cut a groove around the case wall of the 300 WSM cartridges used for testing. Detailed video footage of the test was captured using a high-speed camera. During the first case head separation test, the forward scope rail mounting hole of the receiver was left unobstructed. Upon firing, the case head separated from the case body, releasing gas and particles into the action. A jet of gas and flame escaped from the forward scope mounting hole, and a blast emanated from both the ejection port on the right side of the action and from the bolt-stop port on the left side. After the test, we inspected the action and found that the bolt and receiver assembly were undamaged and fully functional in spite of being contaminated with unburnt powder. During the second case head separation test, a screw was used to plug the forward scope rail mounting hole of the receiver. During this second test, the camera was repositioned and captured blasts that emanated from the bolt-stop port on the left side of the action, and from between the bolt shroud flange and the aft bridge of the receiver. After the test, we inspected the action and discovered that the bolt and receiver assembly remained functional, but that the forward end of the extractor had been bent during the test. The fact that the extractor remained undamaged after the first test, but was found to be bent after the second, might suggest that the pressure within the receiver was higher during the second test. This is consistent with the gas being unable to vent through the forward scope rail mounting hole during the second test; however, the deformed case heads recovered after each test were not identical. This means that during the second test, the case head might have impinged upon the extractor in a way that bent it. Because of this uncertainty, it is not possible to draw a definitive conclusion regarding the actual pressures within the forward end of the receiver. Nevertheless, because a jet of gas and flame escaped from the forward scope rail mounting hole of the receiver, it makes sense to vent the receiver, as doing so helps to reduce the mass flow directed towards the shooter. For these reasons, we redesigned the Mausingfield receiver to include vent holes thereafter. Another test was conducted to observe and document the effects of firing a factory 300 WSM cartridge in a Mausingfield rifle fitted with a properly chambered barrel with the bore obstructed by a metal cleaning rod. Both the receiver and the bolt head of the Mausingfield action used for the test were made from 4340 steel having a measured hardness of approximately 53 Rockwell C. Once again, detailed video footage of the test was captured using the high-speed camera. When the rifle was fired, blasts emanated from both the ejection port on the right side of the receiver and from the bolt-stop port on the left side. The explosion emanating from the ejection port tore the extractor from its retaining collar and severely deformed it. The extractor was found dangling from the action, captured by its forward end, which remained trapped between the bolt head and the receiver. The bolt stop and the ejector remained perfectly intact and functional in spite of the explosion of gas through the port in which they are located. The bullet and cleaning rod were forced approximately eight inches down the bore before coming to a stop. The pressure caused the barrel to swell but not rupture. Tools were required to open and retract the bolt. Upon doing so, we found fragments of brass within the action. Next, we removed the barrel by unscrewing it from the receiver and found within its chamber the remnant of the 300 WSM case with approximately half of the head missing. The locking lugs of the bolt head remained largely intact, as did the surface within the receiver that they bear against. The ejector-side slotted lug sustained more damage than did the solid lug. This is not surprising, considering that it is the weaker of the two lugs and bears against the stiffer portion of the receiver. Overall, the lugs performed extremely well, effectively preventing the rearward ejection of the bolt into the shooter’s face. The fact that the action stayed completely together is extremely important. The bolt was not ejected from the rifle. Although the action was destroyed during the test, it is unlikely that a shooter would have sustained any injury at all, especially if wearing eye protection. The design of the Mausingfield action, and in particular, its flanged bolt shroud similar to that used in the Mauser 98, prevented much of the escaping gas and particles from reaching the shooter’s face. To simulate a human shooter, we secured a Styrofoam head to the buttstock of the test rifle in a lifelike shooting position. The same head was used for both the case head separation tests and the barrel obstruction test. The head was not cleaned between tests. In the photo below, the byproduct of combustion that accumulated during the three tests is clearly visible on the right cheek of the head. A shooter wearing eye protection and holding the rifle during the tests would not have sustained serious injury. However, the test results emphasize the importance of always wearing eye protection when shooting, because even a single tiny particle striking the eye at high velocity is enough to cause serious injury. An action needs to have a margin of safety to resist the dangerously high loads resulting from misuse. The margin of safety stems from both proper design and proper heat-treatment of the steel from which the action is made. Therefore, the Mausingfield action must never be subjected to temperatures above 400°F (204°C) for any reason, because doing so will significantly weaken it and compromise its safety margin. The Mausingfield must not be subjected to high-temperature surface treatments such as ferritic nitrocarburizing or salt-bath nitriding, because such treatments are conducted at temperatures ranging from 900-1200° F (480-650° C). These treatments are marketed under several trade names, including Nitrotec®, Tufftride®, Tenifer®, QPQ®, and Melonite®. While these finishes might be suitable for some firearms, they are not suitable for the Mausingfield and may not be suitable for other bolt actions either. Remember, safety margins are established so that you will not be seriously injured or killed in the event that you do something really stupid or careless. Under no circumstances should you subject any American Rifle Company firearm to an environment that will reduce its safety margins. A Mausingfield action is much too hard to engrave. Gunsmiths planning to build engraved rifles should request a soft action from American Rifle Company. After engraving is complete and before the action is used, it must be heat treated per American Rifle Company’s specification to establish proper strength. American Rifle Company will work closely with gunsmiths undertaking projects requiring an engraved action. 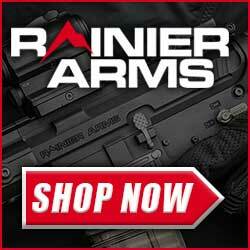 We can be contacted at Sales@AmericanRifle.com or by calling (206) 226-4387. American Rifle Company recommends using DLC (diamond-like carbon) surface treatments to finish the Mausingfield action. These treatments establish an extremely hard and wear-resistant layer on the exterior surfaces of the parts. This will reduce the friction between moving parts, thereby enhancing the smoothness of the action. DLC treated surfaces hold oil which enables them to resist corrosion reasonably well. To have your Mausingfield action finished with DLC, contact Chad Buie at Club Custom Guns, 2725 Denton Road, Denton NC 27239, 336-596-0045. 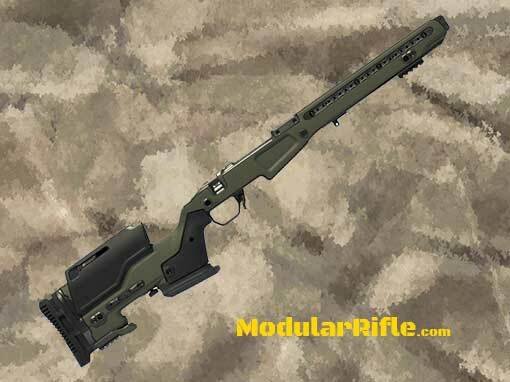 The choice of the J.Allen JAE 700 Rifle Chassis System in Olive Drab (JAE-700-R-RAILED-OD-LA) for this 6.5 Creedmoor Long Range Sniper Rifle happened solely based on the picture at the top of this page. 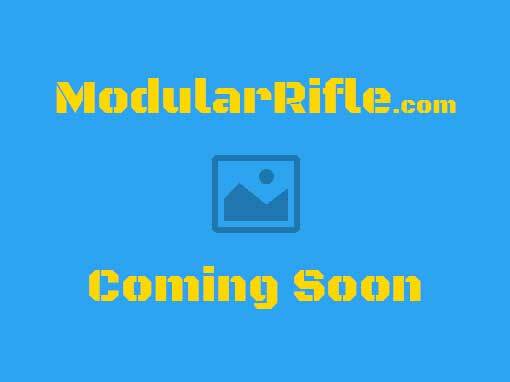 I knew I wanted to use a rifle chassis other than an MDT or Cadex but was struggling to select one. The search almost felt like I was trying to decide on second best rifle chassis system. This isn’t a dig at other chassis manufacturers it’s more of a testament of how much I respect Cadex Defence and Modular Driven Technologies. Initially the main chassis contenders were from Accuracy International, KRG and Ashbury Precision Ordnance. As luck would have it I was researching another article and I happened across an a web page that featured a sniper rifle fitted with a J.Allen JAE 700 Chassis. The rest is history. J.Allen JAE 700 Rifle Chassis System Continued. Built-in Magwell that can be adjusted for fit and feed of the magazines (no other bottom metal needed; magazine not included). Adjustable Thumbwheel Cheekrest and QD lever to quickly remove Cheekrest for cleaning from the breech and removing the bolt. The 6.5 Creedmoor Long Range Sniper Rifle as it’s name implies is a tactical weapon rather than a benchrest target rifle. The trigger pull needs to be measured in pounds not ounces. Albeit in very low pounds. Initially I was very tempted to select either a Timney Calvin Elite or Huber Concepts Trigger. I decided that the Calvin Elite Trigger would be used on a different rifle and the Huber is just too expensive this go around. 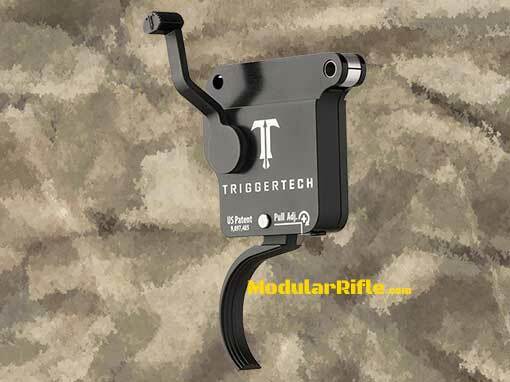 So to that end I have decided to use the highly regarded Triggertech Special Remington 700 Drop In Rifle Trigger, The triggers adjustable pull weight is one to three and a half pounds. Thia is exactly the range I want for this rifle. The Rem 700 Special is an upgraded version of the Primary model which further enhances accuracy and precision on any right-handed Remington 700 model rifle. Utilizing CLKR Technology™, and some additional hand refinements, the pull weight on the Special model is quickly and confidently adjusted from 1.0 – 3.5 lbs in ~1oz increments from an externally accessible set screw. Due to the exceptionally crisp break, most shooters report the pull weights feeling ~0.5lbs lighter than a friction based trigger of the same measured weight. Just like the Primary model, this drop-in trigger provides a true zero-creep break, extremely short over travel and offers outstanding reliability, even in the harshest environments. Friction-less Release Technology™, along with hardened, 440C, stainless steel internal components ensure corrosion resistance and an extended service life. As Friction-less Release Technology™ does not rely on coating, polishing or lubricating the key engagement surfaces, trigger pulls will be more consistent from shot to shot and after thousands of shots than you ever thought possible. AICS magazines are the standard for most sniper rifles, rifle chassis systems and aftermarket bottom metal. The JAE 700 chassis was designed to use the genuine AI AICS magazines. Authentic AICS Magazines are a product of Accuracy International. Genuine AI AICS magazines are expensive at about $100 each. I will buy two for this 6.5 Creedmoor Long Range Sniper Rifle project. Fortunately Magpul recently began offering their own polymer version AICS magazine called the PMAG 5 7.62. The Magpul AICS PMAG is one third the price of the AI AICS magazine. Modular Driven Technologies also offers a polymer AICS magazine. I already have those on hand for the MDT TAC21 project. 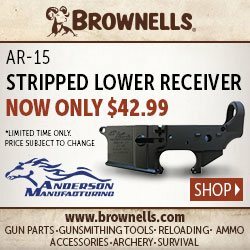 They are priced about the same as the Magpul offerings. 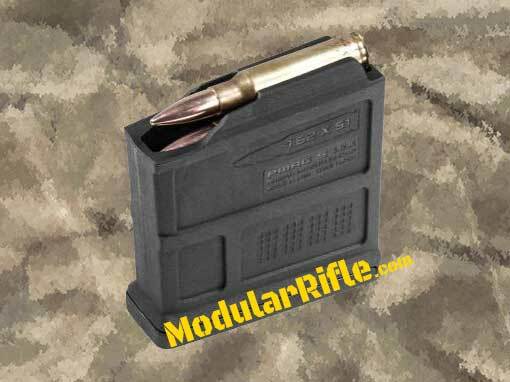 Magpul Part Number MAG549: The 5 round capacity PMAG 5 7.62 AC is a reliable and durable polymer magazine for .308 Winchester based family of cartridges and is compatible with short action AICS-spec bottom metal, to include the Bolt Action Magazine Well for the Hunter 700 Stock. Comes standard as a 5-round capacity magazine for hunting regulation compliance, but the follower can be easily modified by the user to increase the capacity to six rounds for field, competition, or combat use. Made in the USA. What are AICS magazines? “AICS” is the acronym for “Accuracy International Chassis System” The rifle magazines utilized by the Accuracy International Chassis System are simply referred to as “AICS Magazines”. The Vortex Viper PST Gen II 5-25×50 FFP EBR-2C MOA is the new replacement for the fantastic Viper PST 6-24×50 FFP EBR-2C RifleScope. Technically this 6.5 Creedmoor Long Range Sniper Rifle is capable and worthy of a more powerful higher cost scope. If I was to increase this rifle build budget 2x and up the power level a Nightforce NXS 8-32 x 56 MOAR-T (Part number C509). The NXS 8-32 is globally battle proven. Upping the budget 4x I would buy a Nightforce B.E.A.S.T. 5-25×56 F1 and see if it lives up to the hype. Anyhow the Vortex Viper PST Gen II 5-25×50 FFP EBR-2C MOA comes in at $1099 and if it lives up to or exceeds the standard set by it’s predecessor the PST 6-24×50 it should be a bargain in scopes. 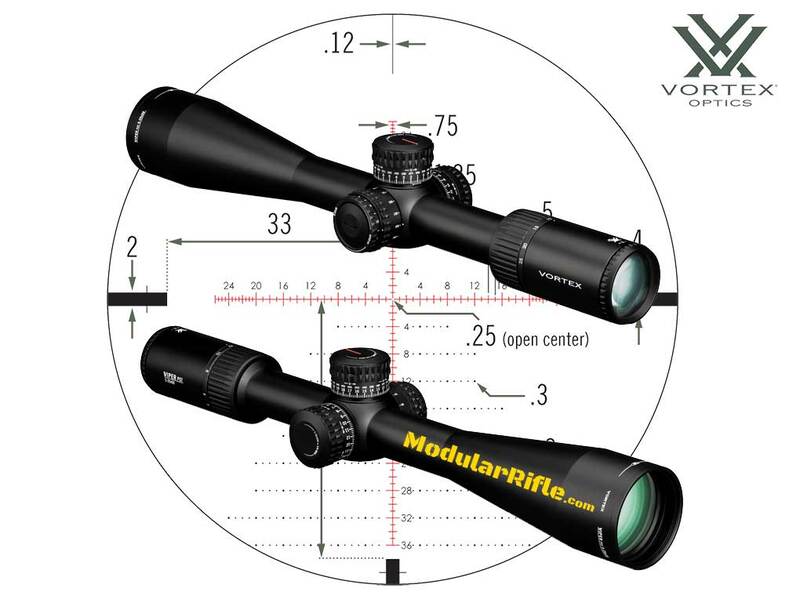 The Vortex Viper PST Gen II 5-25×50 FFP EBR-2C MOA is currently in a pre-order state. I will update this commentary when I have the scope in hand.